First, of all, playing high school, college and pro football can mean an amazing opportunity to showcase your current skill level of ability and team in front of a national audience. 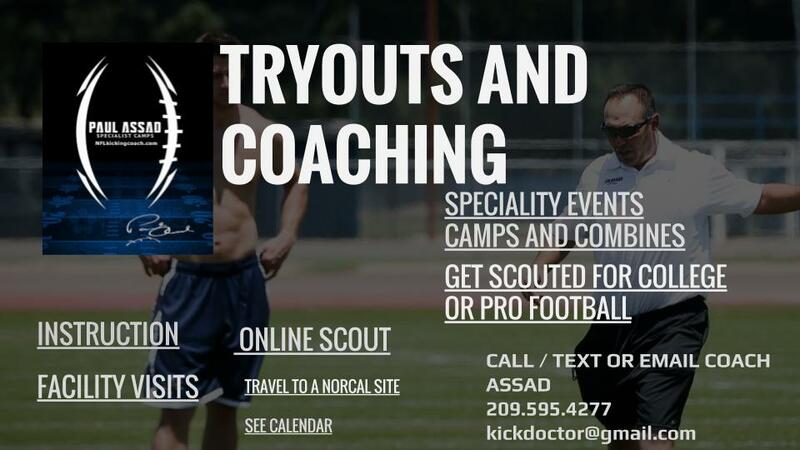 Your agent can use Coach Assad's Scouting Evaluation to lobby for a tryout with a team or coach. 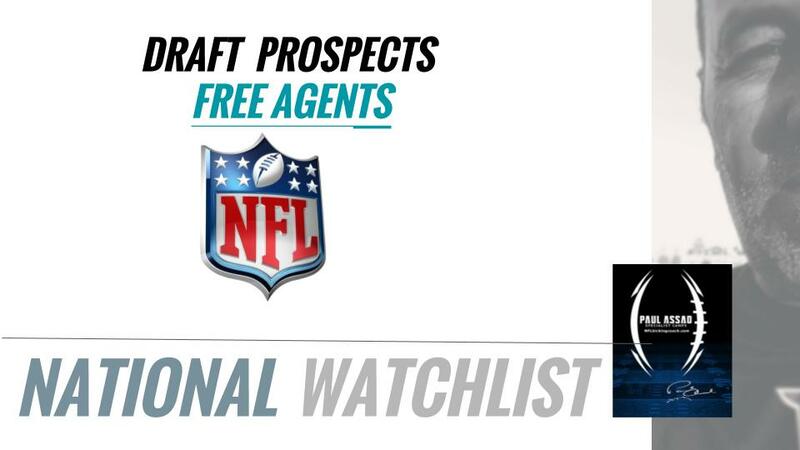 If you were a recruiting prospect it could mean tens to hundreds of thousands in scholarship earnings to D1, D2 or NAIA schools and opportunity to play D3 of course. We have all these relationships through a network of college and pro coaches and refer players who are ready. In fact, 100% of the players we have taught every year have moved up if they desired to. The level they moved up was dependent on their performance on film and referral. No matter what you think, there is no shortage of demand at the college and professional level. I have college and NFL Coaches constantly asking me for talent. I like to believe these coaches call because of my accuracy of talent observation and they know I have helped build the foundation for that player to be successful at the next level. 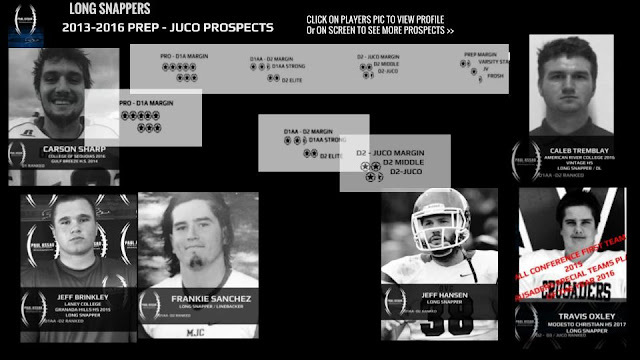 The profile format we are using offers coaches a 1 stop Recruiting Destination. They can easily navigate thru our website and app to the player level and view each player by graduation class or by rating. 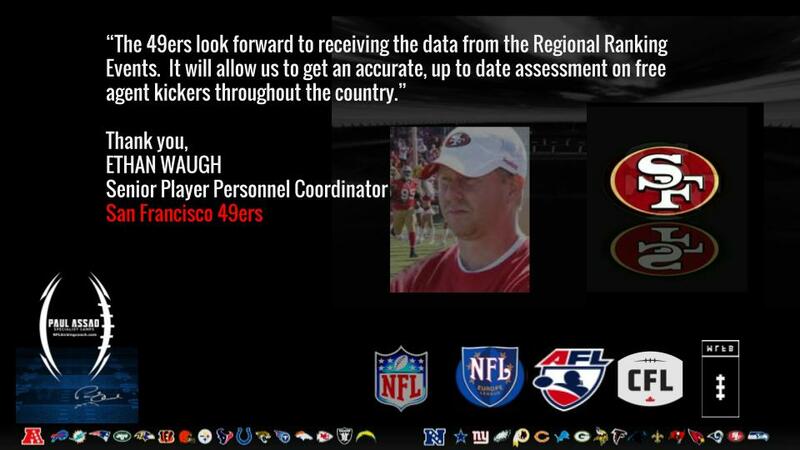 See player strengths, picture and highlight or camp footage right on his profile. 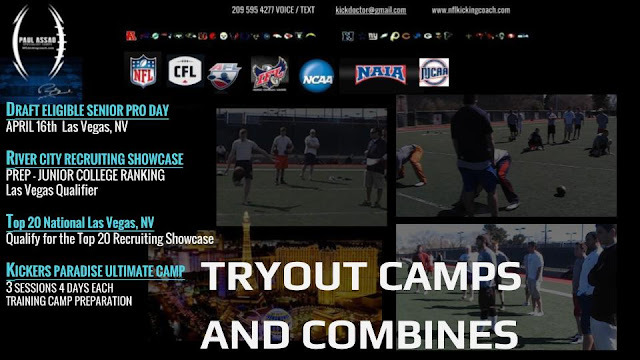 ☆ Will offer a unique and accurate Profile available 24/7 for Coaches to view scout comments, scouting film (we make for you) and link to hudl. 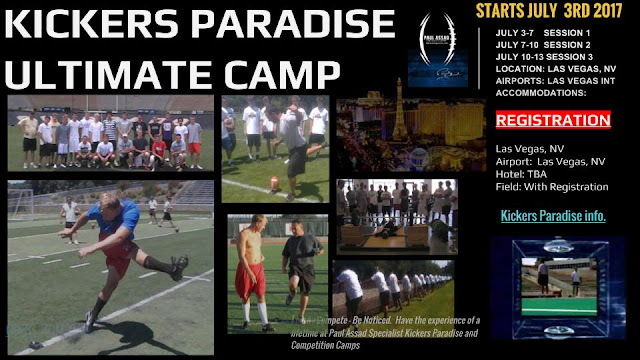 ☆ Will make the effort to help you Place thru the Professional Network of Coaches, Alumni and National Coaches meetings. What do you have to do to get Money? You have to perform at a high level and be of outstanding character of course, but you have to have the grades and transfer credits. Kick Off over 4 seconds and / or drive the ball into the end-zone regularly. Punt no less then 30 yard no less then 4.5 seconds every time. 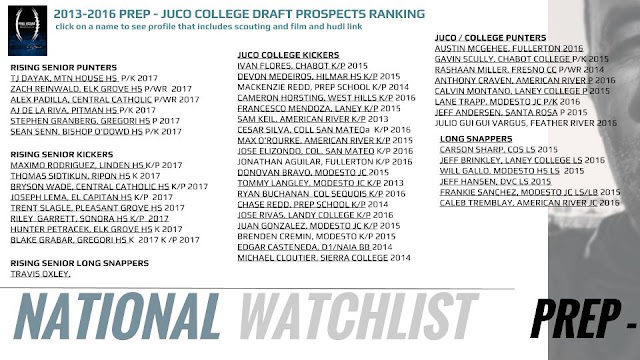 Punters that Kick Off are a premium recruit at the college and pro level and punters that hold are more valuable. 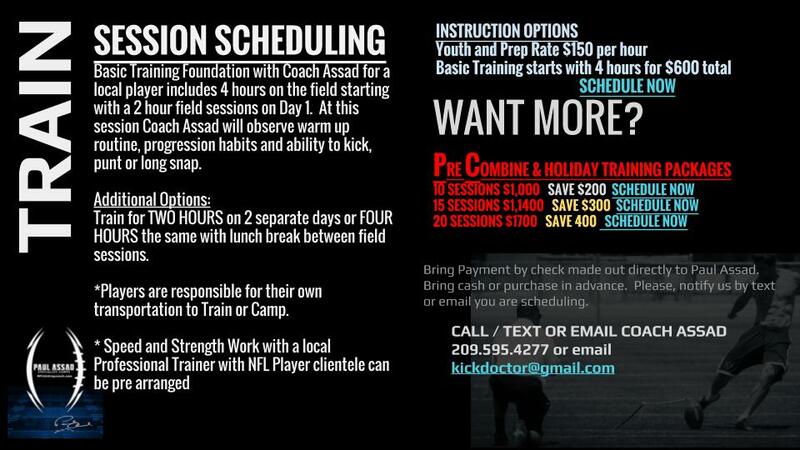 Specialist that Punt and Kick Off and Field Goals are the most valuable for backup or roster travel limitations. Punt 4.75 second 40 -45 yard punts regularly. A pro punt would be ove 5 seconds and if you notice they turn the ball over basically, EVERY TIME. Long Snap accurately under .80 on Punts and block or run down to tackle and perfect spirals on Field Goal and have the ability to block. Size is a factor with Long Snapping 5/11 / 200 plus pounds in college preferred by not mandatory. Pro Laces would be laces up every time on field goal we can arrange this with the length of the field goal set up also. Be eligible meaning you have your NCAA Compliance ID ready as a pre qualifier or meet transfer demands from Junior College graduating with an AA degree. Be a Team Player of outstanding character reference. Hard Workers get noticed and Unselfish Student Athletes are thought of highly. Players that Stay Out of Trouble. Attend Class avoid situations that can get ugly and be traced to negative situations. Perceptions count so choose wisely. 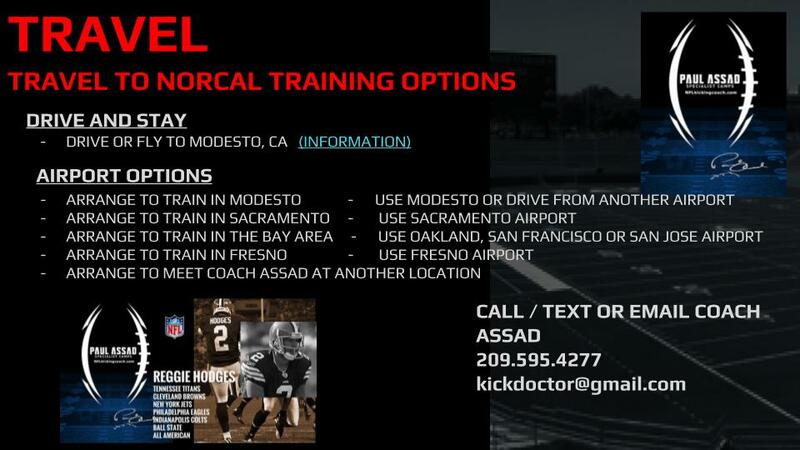 What does Training with Coach Assad Mean? If you are a current college player it means that you have the opportunity to learn the ground level of Power X techniques for Kicking, Punting and Long Snapping. These are the same techniques that have dominated much of college football and our best NFL players including All Pro's like Sebastian Janikowski, Mason Crosby, Matt Bryant, Thomas Morstead, Mike Scifres, Shane Lechler, Colts Long Snapper Matt Overton and many more. Learn more about how these Long-Shots from my Pro Camp - Player Development and Consulting Services that have dominated the game for the last 2 decades. I hope you will be inspired by their stories that vary from being long shots to to getting discovered to making comebacks and performing at the very highest level of the game. Let's first agree there is a difference between average and good. That means there is a greater difference from good to great and finally, there is Elite Status. This is evident every year when you see the same players or coaches in the big game - top of the statistics or success charts. Players in this program have learned how to Train with Purpose and move in the right direction for short and long term progress and development. 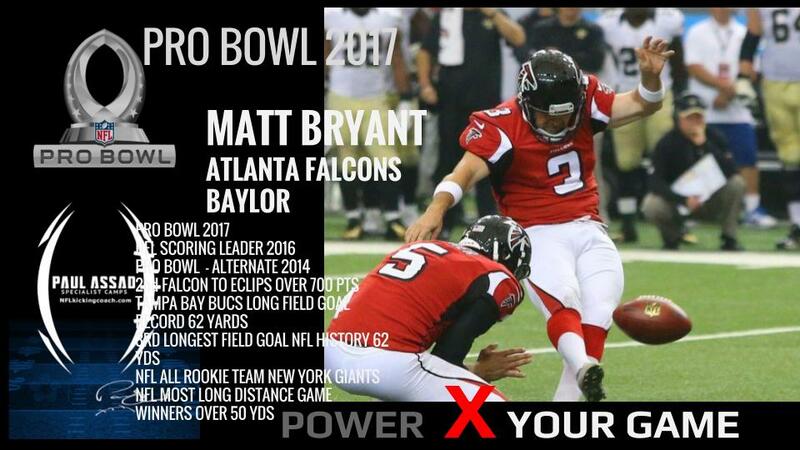 In his 15th season Matt Bryant was selected first team Pro Bowl outscoring other NFL Players by 27 pts. 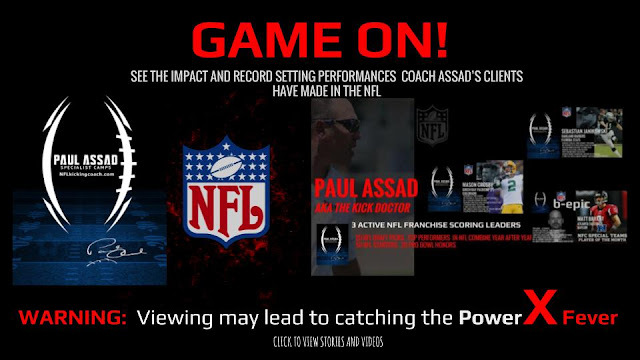 NFL and Power X Techniques by Coach Assad: Together Coach Assad's Pro clients have collectively, earned over 100 million, 10 have been Pro Bowl Selections 18 times, 20 have been NFL Draft Picks and of his college player 5 Lou Groza Awards and 2 Ray Guy Awards have been Won, several National Championships and countless All Americans. If you truly want to improve all areas of your career and life, GET A COACH! If you want to achieve EXTREME results are not for the feint at heart. It's time to DIG IN! 3. Give you insights and support to help you break through any barrier that you are facing and help you build confidence. 4. As a great camp or training performance only leads to a Personal Referral and having all the Contacts at every level I urge you to consider my Power X Training and Placement Assistants over some exposure camp held by "So Called Experts"
I often get players coming to me that have had lots of previous coaching or no coaching. What's important is that the player gets results. 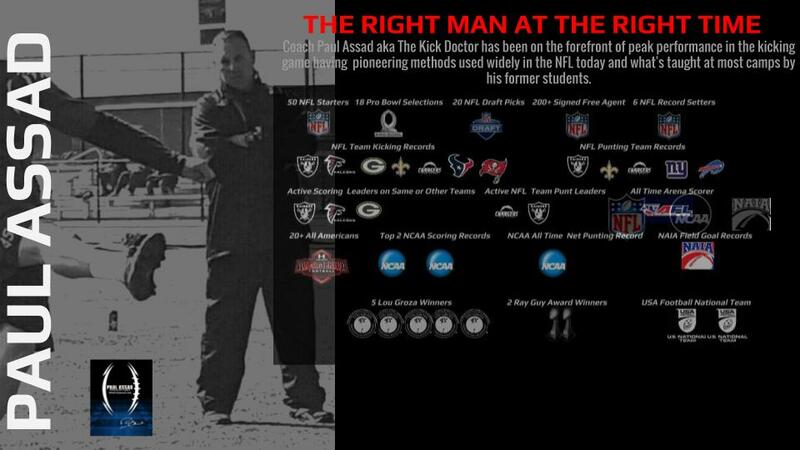 These are the universal position and movement concepts for all sport and leverage applied to kicking, punting and long snapping that have achieved world class results. 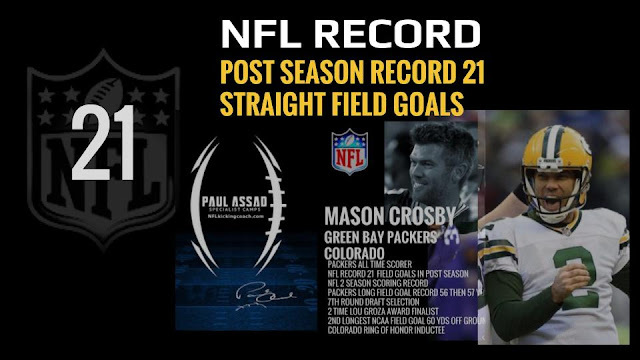 The difference as we move up the success ladder margins lessen and the difference between success and failure - scholarship or walk on - employment on 53 man rosters becomes tenths of a second but also technique that holds up under the stress of competition. 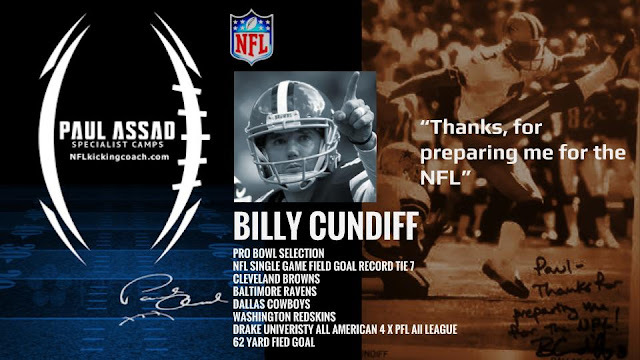 Billy Cundiff Trained every off season in college and attended Kickers Paradise 3 week camps. 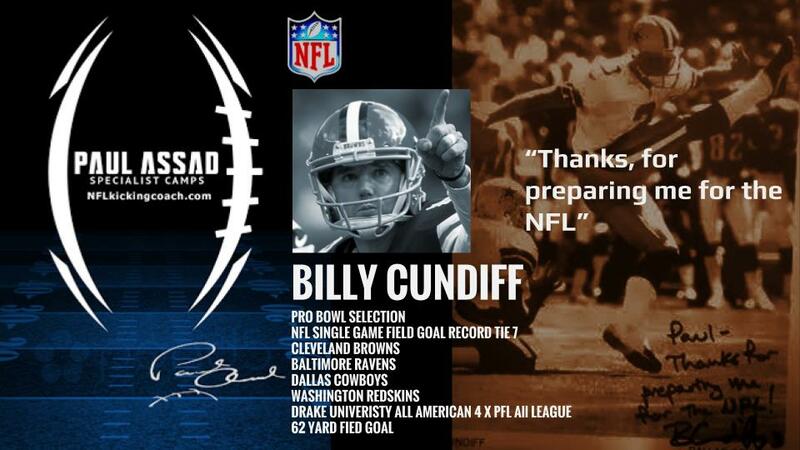 He set a school record 62 yard field goal his first attempt his senior season vs U. San Diego and went on to tie the Single Game Field Goal Record earning his place in Canton and earn Pro Bowl Honors. Using Field Goals for example: There's 2" then 1 Transition for Field Goal Kicking and then there's Off the ground Field Goal Technique is much more refined because there is less room to get under the ball and swing up so kickers have to get precise about leg action and precision. The Pro Power X Technique helps players compress the ball greater because the ball is on the foot longer and applying the principals of mass and speed to velocity and 3rd class leverage. A younger player may not be ready for the type of swing but he can learn basics that make it a lesser transition when he is ready. In addition, kick off power is necessary for Specialist that kick because field position is key and note that college and pro kicks off 5 yards further away and the ball is not just any broken in ball you can get in the game. Players have added 10-25 yards on kick off. 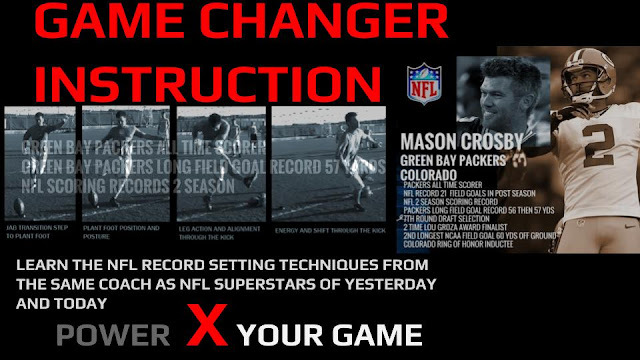 The Pro Power X Technique helps players compress the ball greater because the ball is on the foot longer and applying the principals of mass and speed to velocity and 3rd class leverage. A younger player may not be ready for the type of swing but he can learn basics that make it a lesser transition when he is ready. A great example was J.R. Jenkins he could kick a 3.95 / 70 yard ball. 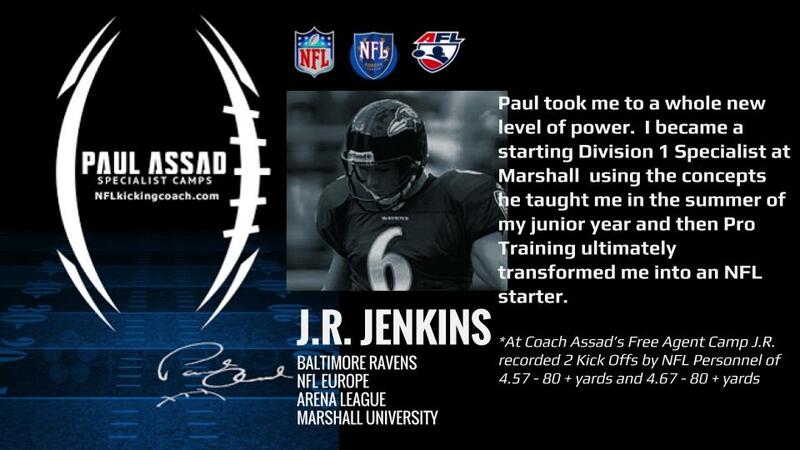 With Training we took that to 4.6 85 yards and he was signed on the spot at our free agent camp. Punting efficiency is a huge part of today's game. The distance and direction becomes gigantic. 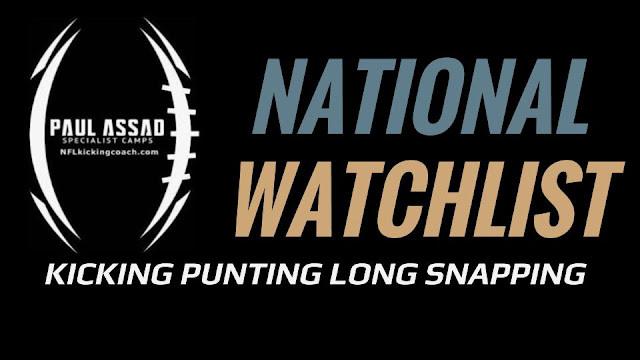 Some programs have players try to eliminate returns with "Roll Out Punting" and others prefer the tradition Pocket Punting. A big attraction is obviously, being consistent but being able to "FLIP the FIELD" is big advantage when deep in your own territory as is pinning opponents deep in their own territory with Pooch / Coffin Corner Punts that stop near the goal line and being able to do all these without "Hurting" your team with bad punts especially, in big game situational momentum moments is the ultimate. 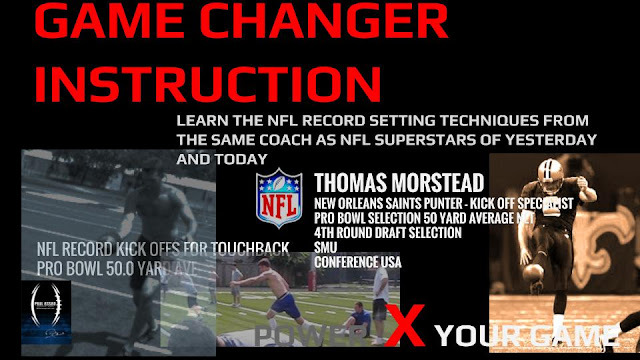 The Pro Power X Technique helps players compress the ball greater because the ball is on the foot longer and applying the principals of mass and speed to velocity and 3rd class leverage. A younger player may not be ready for the type of swing but he can learn basics that make it a lesser transition when he is ready. Thomas Morstead was a P/K at SMU and didn't Kick Off in College because he learned wrong and injured himself until Coach Assad persuaded him to become a strong Kick Off / Punter. He set the NFL Record for Kick Off for Touch-backs and earned his place in the NFL Record Books. His 2nd contract was a 21 million 6 year extension. Long Snapping is an art to itself. For years players were taught to use their legs and make a big push backwards as they spun the ball with both hands. 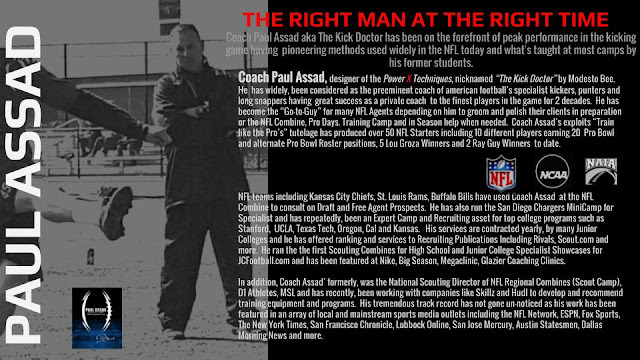 I studied the best long snappers and one of my clients Brian Pitman snapped .55 / 15 yards reps at our NFL Camp and was immediately offered contracts I learned everything I could about what he was doing and how he did it and then applied those principals to universal movement and how to improve it even greater. Snappers also must learn to both Field Goal and Punting block. The Pro Power X Technique for snapping places emphasis on creating leverage and using alignment with lesser margin for error. 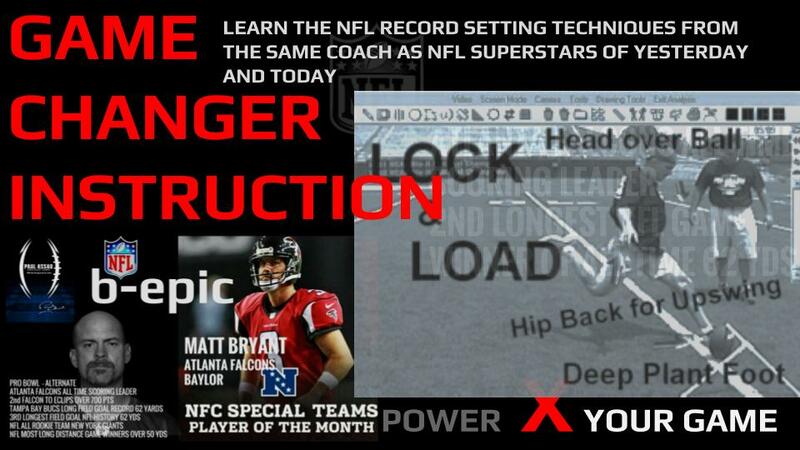 Speed and Sequencing and release points. Coach Assad teaches players to align their arm and create a stronger core position to fire from. Accuracy goes up and mistakes and times go down. 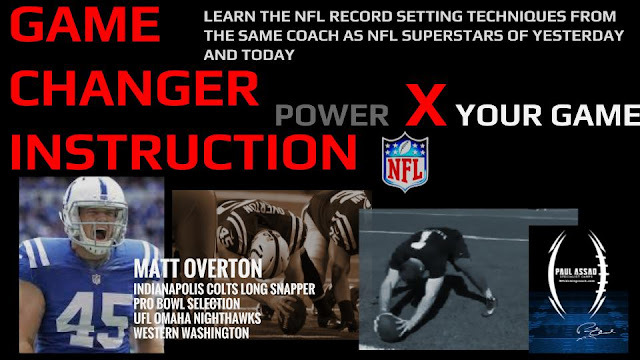 Matt Overton was out of school 3 years and we made some adjustments to posture and thinking process and he improved his snaps to .62 and is enjoying his 5th season in the NFL making over a million per season and All Pro. I will help you will understanding what every sequence, motion and body part is doing thru a great kick or punt or even snap. Setting up and knowing the exact sequences to gain the most speed and power with the least amount of exertion are keys to unlocking the next level of performance and consistency. Investment Perspective: This is up to you entirely. If investing 2 or 3 thousand brings you success for the next few years of college football or opens up doors to the next level, earns a player a scholarship worth tens or even hundreds of thousands or a pro millions... this is obviously, good money spent. 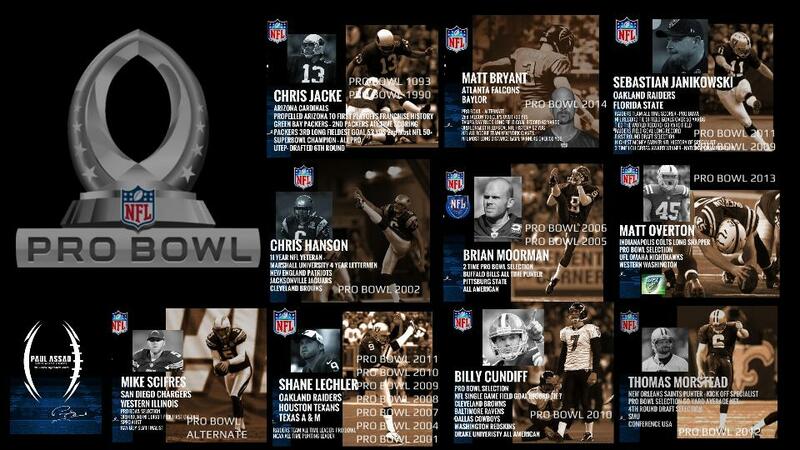 Other Factors: Your playing experience will be richer. It's obviously, more fun and doesn't seem like work at all when we are excelling at something. Opportunities and anticipation of the possibilities are very exciting. This is your time. Prices: You will also notice that the Training fees improve as the bulk of instruction does. This is your WINDOW OF OPPORTUNITY. I also want you to consider the price of not doing this now. This is a 4 hour program rated at $600 per player for 4 hours and included online profile and college referral program we have already, completed and that program was discounted. WITH TRAVEL: Programs can also option to pay for Coach Assads Consultation travel and Consulting Fee. * Note if Travel is not a factor, Training Fees for players may be offered for dramatically, less. I wish you all the luck in the word but I also know we need to develop both our technique, confidence and mindset.